Do you like Korean food? 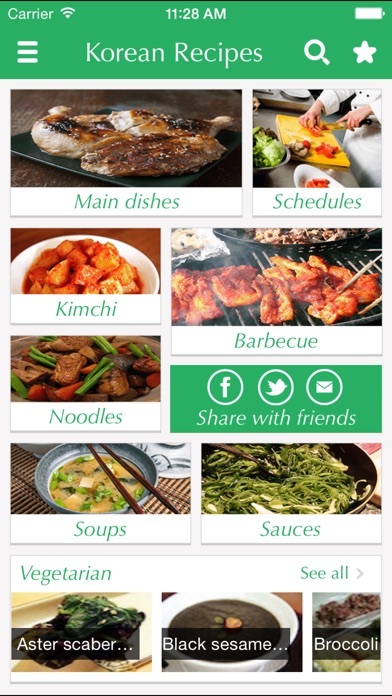 Do you want to learn how to make some of those great Korean dishes at home? Korean Food Recipes show you easy-to-follow tips and techniques that will have you preparing Korean dishes and enjoying them with your loved ones. 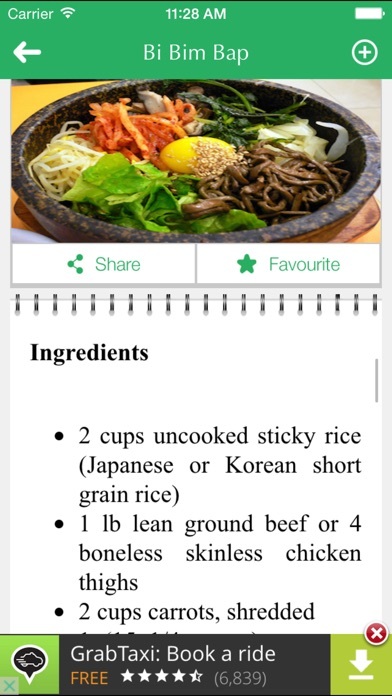 The popular Korean dishes are usually very low in calories and use a lot of vegetables. You can find all kinds of healthy and simple Korean Food such as Kimchi, Noodles, and Soup and so on in English. You can share your favorite recipes via facebook and email or just store them in your favorites tab. All recipes are created by homemade food specialists, comes with beautiful food photos. Wish you have your own delicious Korean dishes! Happy cooking!!! Features: - A huge collection of Korean Food Recipes inside all in English - Precise info and beautiful photos for cooking - Step by step guides - Easy-browsing categories - A meal planning schedule for the week - Favorites - My Recipes section to create your own recipes - Recipe share - No internet require If you require any assistance, please contact us at [email protected] We love your feedback! BHMEDIA IOS TEAM!